Are you coming as a couple? 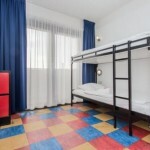 Or would you like to stay in 1 room with your whole group? We have something for everyone: we offer rooms for 2 to 10 people.